Access Control Lists (ACLs) are typically applied to data to restrict access to data to approved users. 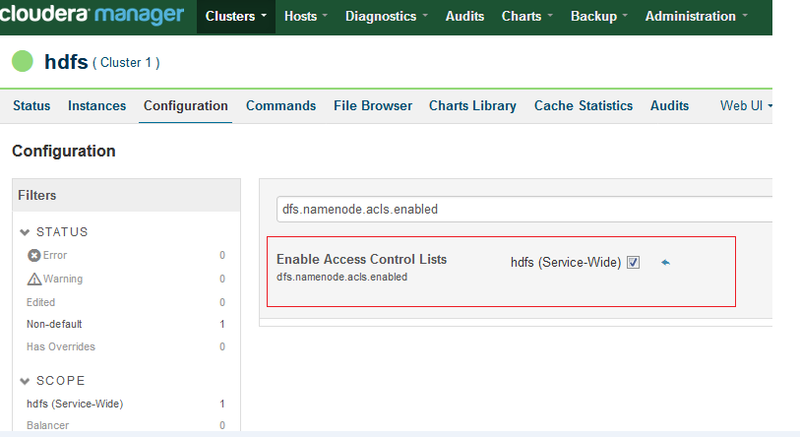 <dfs.namenode.acls.enabled > has to be enabled in HDFS configuration. 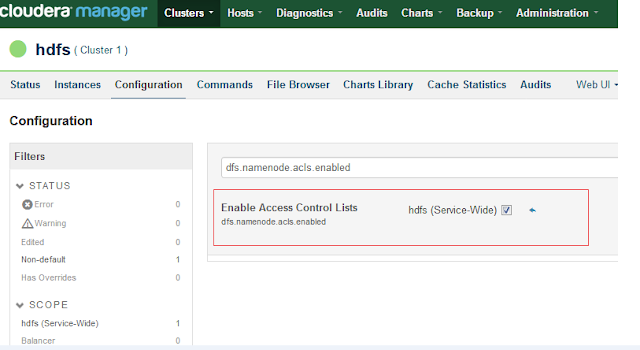 If it is not checked them the property is not enabled in HDFS. In that case, we have to enable the property. In this case, all services has to be restarted. 2. An user “bruce” has to get full access to a hdfs directory. 2. A group “test-ops” has to get full access to a hdfs directory.